Cotacachi hotels range from modest hostals to La Mirage Hotel and Spa, one of Cotacachi Ecuador’s best kept secrets. 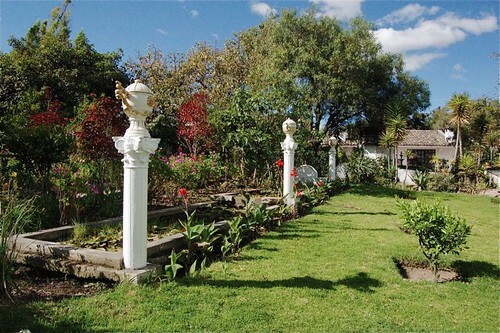 This is a great place to stay if you are looking for a hotel in Cotacachi…and if luxury is valued more than price. Here is the entrance to the spa at La Mirage Hotel and Spa. 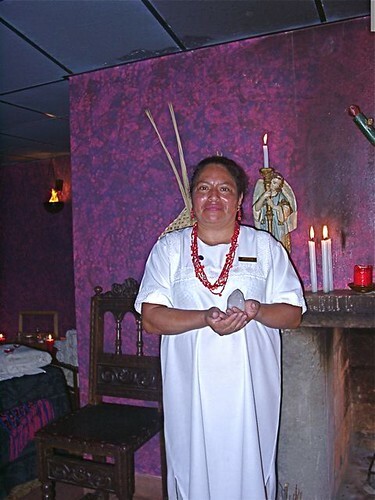 La Mirage offers pure luxury…surprising for a spa in a village as small as Cotacachi. The hotel rate is high compared to other Cotacachi hotels but this hotel has such high standards that La Mirage is still an incredible value. For the past 13 years, Merri and I have watched La Mirage become one of the most sacred and exquisite hotel spas we have ever experienced. It is a vital part of our life in Ecuador. We have remained best friends with the owners over these years, and we are in love with this undeniably special garden hotel and spa. You may feel that it is strange that Merri and I, who have our own inn in Cotacachi, recommend another place! We announce to you that La Mirage Garden Hotel and Spa is special. La Mirage offers, of course, a much higher, more refined, more elegant and delightful experience with the spa and 5 Star restaurant, organic gardens, horses, alpacas, llamas, small river, tennis courts and exquisite beauty. We, of course, welcome you at our hotel El Meson de las Flores and you will find us a delight. However if you would enjoy gourmet meals and a room at a world class spa all for less than a similar meal would cost in the West, consider upgrading to La Mirage. Many guest stay at our hotel part of the time and part time at Hotel La Mirage. 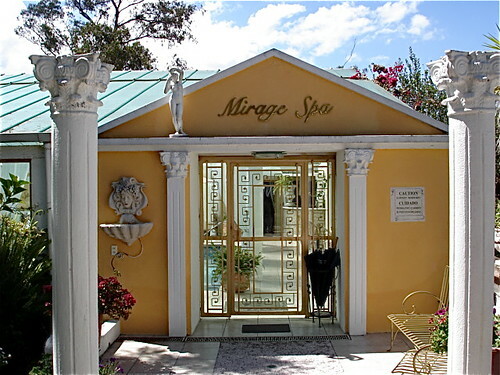 We recommend that anyone who stays at our hotel in Cotacachi at least visit the la Mirage spa. The Garden Hotel and Spa La Mirage, is one of the most luxurious spas in the world. This is one of the few Relais and Chateaux listed hotels in South America and guests like the Queen of Spain are not unusual here. This week the US Ambassador is visiting there. 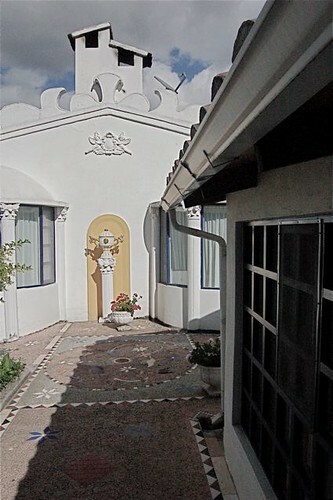 Last year four US Senators stayed in Cotacachi at hotel La Mirage. Attention to detail is everywhere. In the lush gardens (where organic vegetables, herbs and fruit are grown) numerous varieties of hummingbirds play and breakfast is served in a glass aviary. The birds accompany your first meal of the day. The fresh fruits and juices, farm eggs and Andean grains are served in impeccable and delicious ways. Each exquisite suite is unique with fireplaces that are lighted with aromatic eucalyptus for you. Service includes hot water bottles at the foot of your bed and rose petals scattered on your robe and pillow at night! The food, without parallel, is served on silver by young Otavalons in local costume. Spa facilities include swimming pools, rose petal covered Jacuzzi with views overlooking broad valleys and Mt. Cotacachi, steam baths with fresh eucalyptus, sauna, facials, volcanic hot stone, Swedish or special Andean shamanic massage. 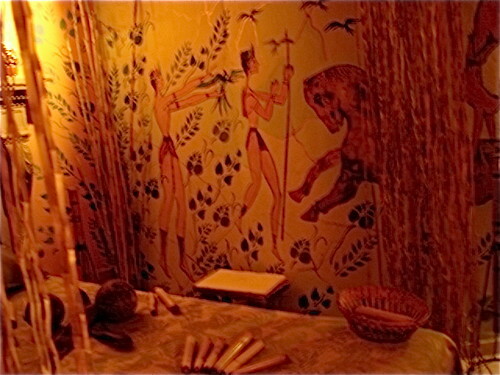 There are also rose oil soaks, volcanic mud wraps, lavender (grown organically on the premises) wraps and treatments. The visit to this wonderful site is worth the trip alone. We have conducted numbers of conferences there over the years, and delegates report that they were life changing for them. Join us in Cotacachi and visit La Mirage Hotel and Spa while you are here.